At the 2018 Oklahoma Bar Association annual meeting, M. Joe Crosthwait, Jr., was presented with the Joe Stamper Distinguished Service Award. This award recognizes Joe for his long-term service to the Oklahoma Bar Association and his contributions to the legal profession overall. In addition to a term on the Oklahoma Bar Association’s Board of Governors, he has been president of the Oklahoma County Bar Association, the Oklahoma Bar Association, the National Conference of Bar Presidents and the Oklahoma City University School of Law Alumni Association. 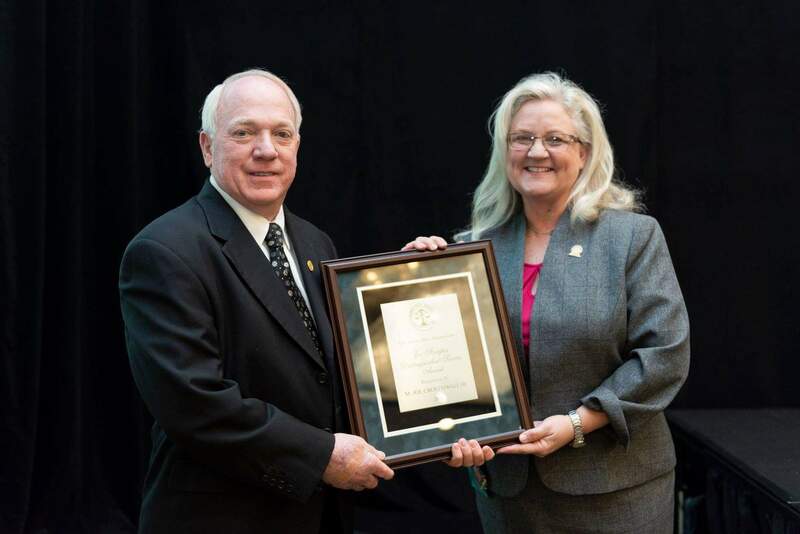 He is a Sustaining Benefactor Fellow of the Oklahoma Bar Foundation and served as a Trustee for six years. He is a sustaining life member of the American Bar Foundation. He recently served six years on the Oklahoma Bar Association Professional Responsibility Tribunal, including three years as chief master. He also serves on the Oklahoma Lawyers for Children Board of Directors. 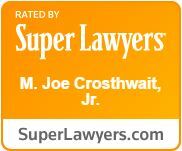 Mr. Crosthwait was instrumental in the establishment of OBA-Net, the Management Assistance Program (OBA/MAP) and the Solo and Small Firm Conference. He is an elected member of the American Law Institute and currently is the state delegate to the American Bar Association and has served in a number of leadership positions within the American Bar Association.